A carillon is a set of at least two chromatic octaves of bells (23 bells), and as many as five chromatic octaves of bells (61 bells). The bells are hung on a rigid framework and do not move. They are played by a carillonneur from a baton clavier that has both hand batons and feet pedals. 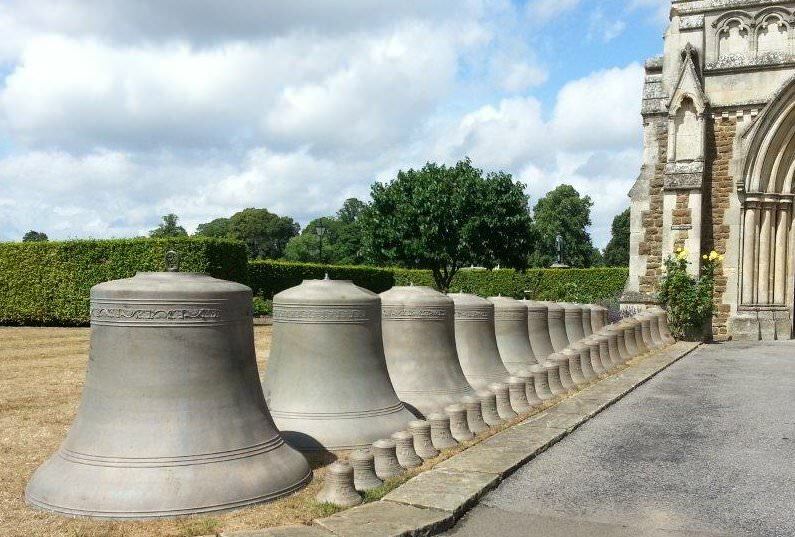 All music can be played on them, from Beethoven to the Beatles, the bells sing out in beautiful harmony. Taylor carillons are bespoke instruments and are highly regarded by the world’s finest carillonneurs. Taylor’s perfected the casting and harmonic tuning of bells in the late 19th century, and produced the world’s first ever equal tempered carillon at the bell foundry in 1904. This instrument so impressed the most able carillonneurs of that time that orders for Loughborough carillons were placed from many countries. Today the sound of Taylor carillons can be heard throughout the world from Australia and Africa to The Americas and Europe. In recent years much research has been done to increase the power and resonance of the smaller carillon bells the Foundry produces, and to perfect the transmission and clavier systems to enable carillonneurs to play with the greatest of sensitivity and expression. A Taylor carillon being installed at Charterhouse Public School, Surrey during the summer months of 2013. Charterhouse School - new four and a half octave clavier being made in our woodwork department - August 2013. 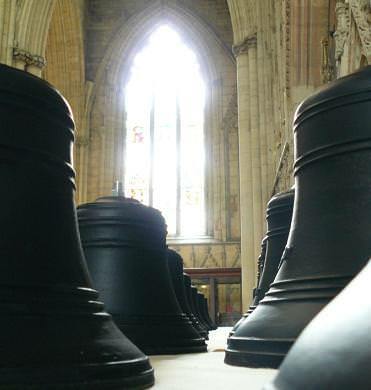 Carillon bells waiting to be lifted into the south-west tower at York Minster. Beautifully crafted in oak - a modern 3 octave Taylor clavier. 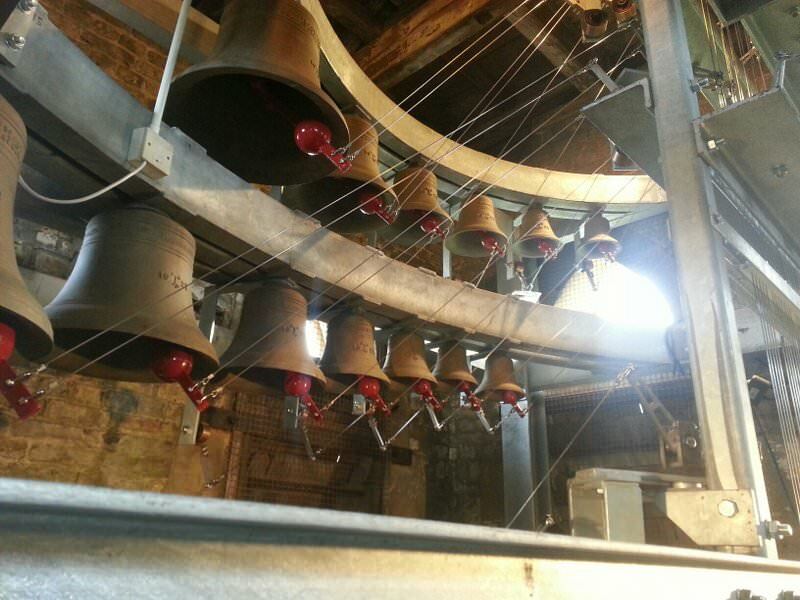 A chime of bells is designed and hung in the same manner as a carillon but has fewer bells. It can be played from a baton clavier or from an Ellacombe Chiming Frame. 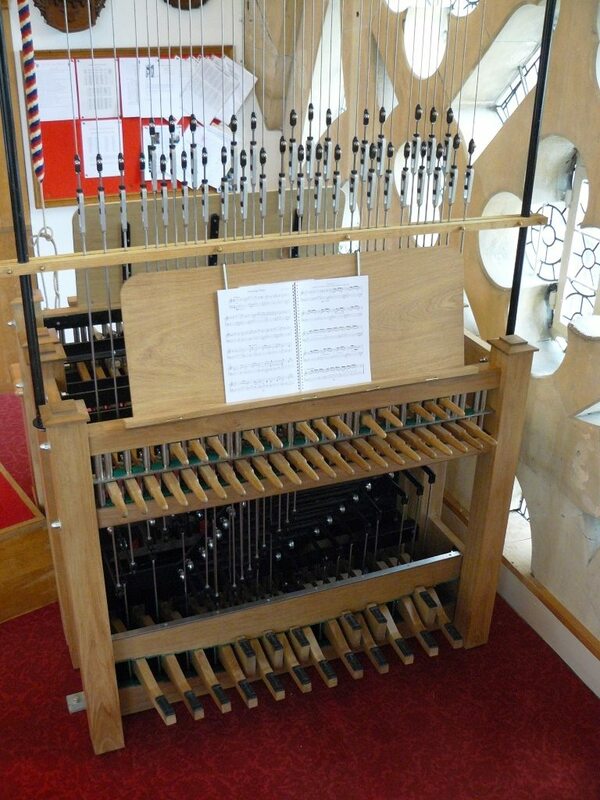 Learning to play a carillon can be a very public affair and cause upset for the student and listeners alike if lots of mistakes are made, so we are pleased to be able to provide practice claviers that can be housed in any small room or in the playing room itself. The sound of the actual bells can be digitally sampled and reproduced either through loud speakers or ear phones, or a mechanical system producing a glockenspiel sound can be made. The student then gains confidence in private before any public performance, and the local inhabitants hear only the rehearsed music. 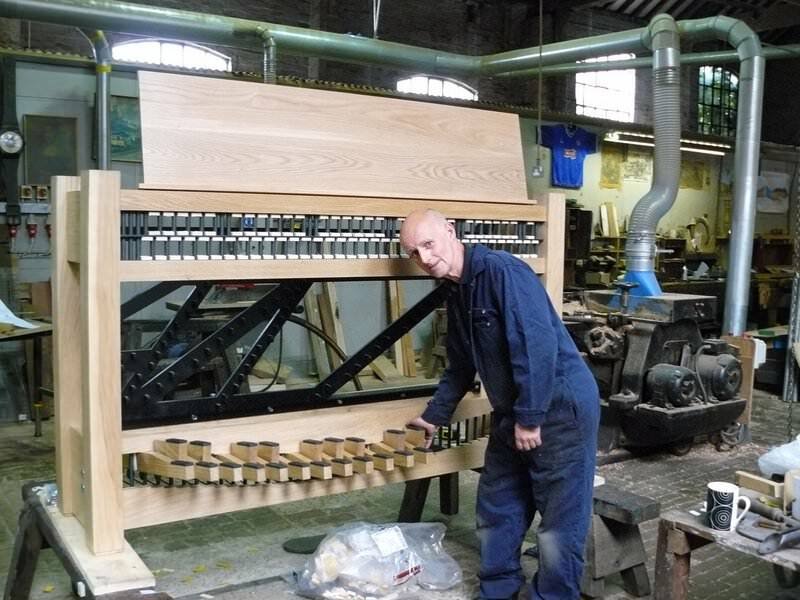 A recently manufactured practice clavier for the carillon at York Minster. We are pleased to offer the supply and fitting of automatic chiming systems to compliment any bell installation. Such systems work using electro-magnetic chiming hammers and can be pre-programmed to chime at intervals to suit clients’ needs. 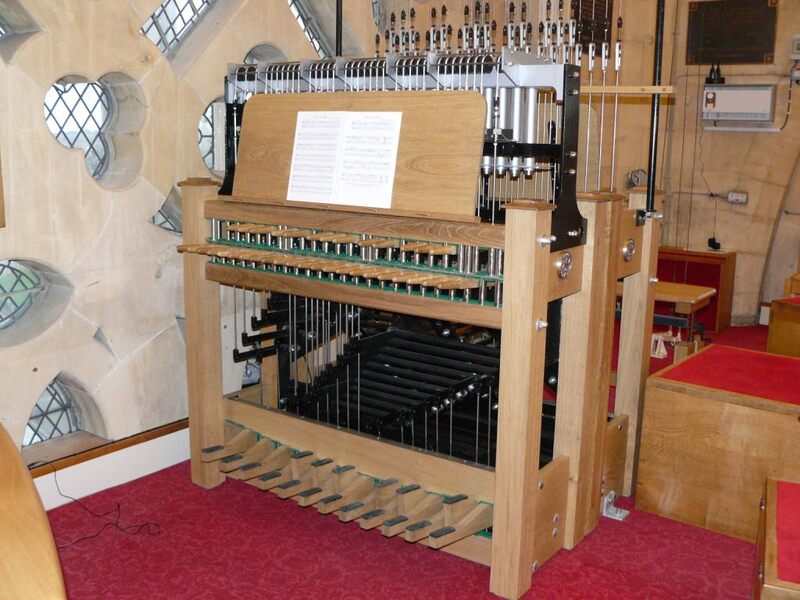 Automatic systems can be fitted to sound single bells, ringing peals, chimes or carillons, and have facilities to be programmed for the entire calendar year.